Do lizard moms choose the best sites for their eggs? Aaron Reedy and his class at Thomas Kelly High School collaborated with scientist Dan Warner to design a study to answer this question. They presented lizard moms with soils of varying moisture levels and found that moms strongly preferred to lay their eggs in the wettest soil. Next, by randomizing eggs across moisture conditions, they confirmed that mom knows best: the soils that moms preferred led to the highest survival and largest hatchlings! Science in the high school classroom doesn't typically involve new discovery or scientific publication... but we want to change that! For example, teacher Aaron Reedy, scientist Dan Warner, and students at Thomas Kelly High School published their new findings in a leading scientific journal. You can read the paper here. 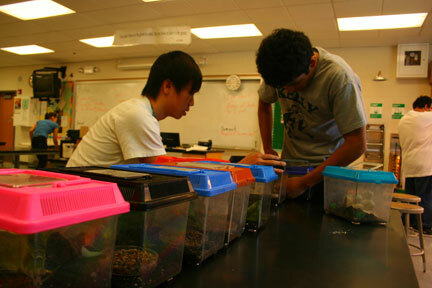 We work with teachers to design in-class studies that create new discoveries and scientific knowledge. Can you envision this model in your science classroom? 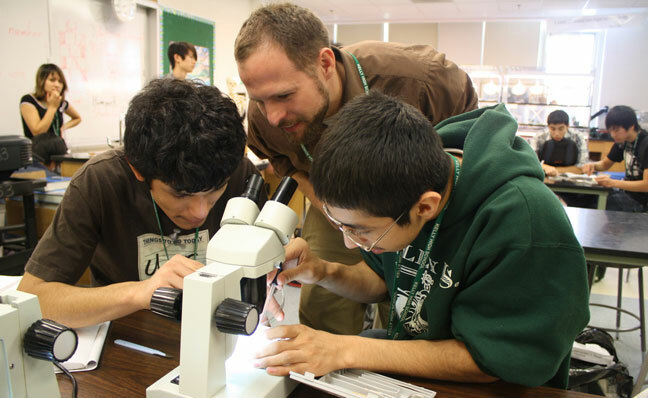 We're accepting applications from talented science teachers for research fellowships with Evolution Education. You can apply here.